In an era of intense competition and marginal advantage, it is the fundamental value of the brand that makes one company or product preferable to another. That’s what we mean by edge. And to maintain it you need astute management, bold creativity and a healthy respect for the customer. We are very proud and excited for our longterm client Julius Baer. 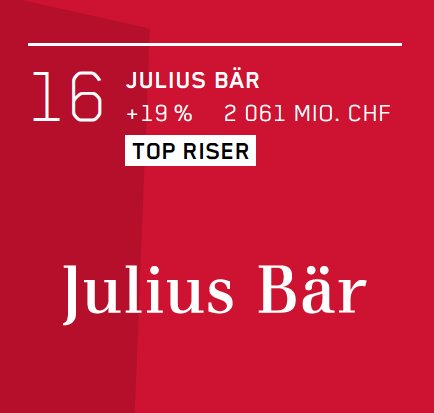 For the Best Swiss Brands awards, Julius Baer was able to increase its brand value by 19%; this is the largest increase among the 50 most valuable brands of Switzerland. A well deserved accolade! True to this belief, we have built a network of 28 consultants and designers around the globe, equipped to share a world of knowledge and experience, instantaneously executing multinational design solutions. But whether global or local, every project at edge starts with the customer — understanding what they need, what they respond to, and what prompts their purchase. edge is convinced that design, coupled with consumer insights, is your most powerful branding tool. Go ahead. Talk with us! ©2019 edge identity AG. All rights reserved.